First Listen: Gold Panda, 'Half Of Where You Live' On his second album, British electronic music producer Derwin Panda gets out and explores the world. It's been three years since his debut, and he's spent that time crafting a sort of travelogue. Gold Panda's new album, Half of Where You Live, comes out June 11. Electronic music producer Derwin Panda developed his sound in his hometown of Chelmsford, Essex, as he worked day jobs in record shops and adult bookstores while making music in his studio at night. The resulting tracks that comprised his breakout 2010 debut, Lucky Shiner, rejiggered hip-hop's boom-tick with exotic timbres, vibrant keyboard hues and minced vocal snippets — redolent of Four Tet, if slightly more caffeinated. 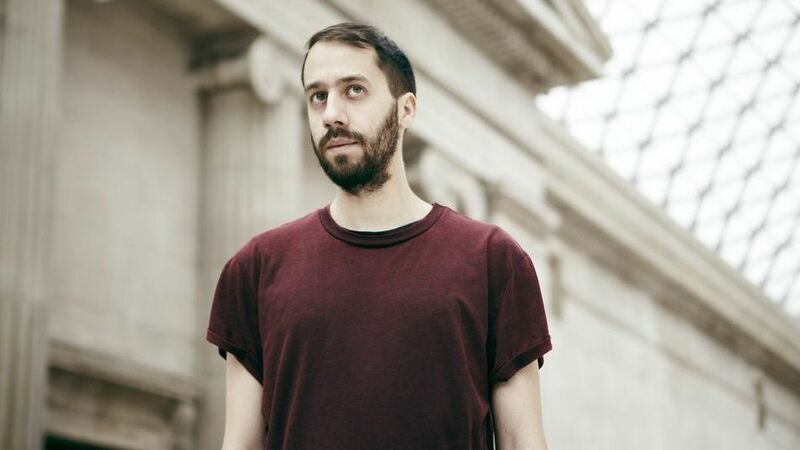 In the three years between his debut and his latest album, Half of Where You Live, Gold Panda seems to have gotten out of the house and turned into a world-beater, with the album acting as a travelogue of sorts; it name-checks the small Japanese island of Enoshima in one song and the British village of Flinton in another. Stemming from time Panda spent traveling through South America, "Brazil" features a tocking woodblock alongside harps, canned handclaps and a sampled voice uttering that country's name, the track growing in warmth and light as it whirs along. "The Most Liveable City" (which as of 2012 was Melbourne, Australia) balances field recordings of bird calls with a gorgeous synth melody and a skittering snare pattern that evokes Aphex Twin at his most hyperkinetic. Gold Panda is most evocative in "My Father in Hong Kong 1961." Electronically rendered exotica as viewed through the prism of Ryuichi Sakamoto, the song features stately metallophone tones that cast a glow and evoke a sense of nostalgia for a bygone place and time. It's well worth the trip.